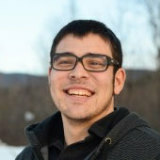 Sam recently graduated from Vermont Technical College with a focus on Sustainable Systems and their integration into the home. Originally from Springfield, Vermont, he grew up on a horse farm and enjoyed family forays to our state’s county fairs to race their horses. His family restaurants taught him an intense work ethic and love of people. Sam is a dedicated athlete — playing, coaching and supporting his local Rugby team, Mad River. Sam and his dog live in Burlington. Read more about Sam on our Blog!